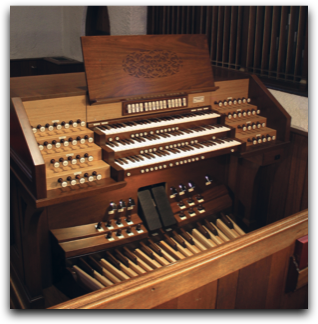 "Sebastian Glück possesses a unique gift of knowing how each stop in the organ will work well with the others to produce clear, poetic, and exciting musical sounds in varied acoustical environments." THERE IS NO WASTED METAL in our instruments. Every stop, whether newly built or revoiced from existing pipes, exudes character and intensity, achieving an elegant blend and energized tonal æsthetic, even in the gentlest of voices. 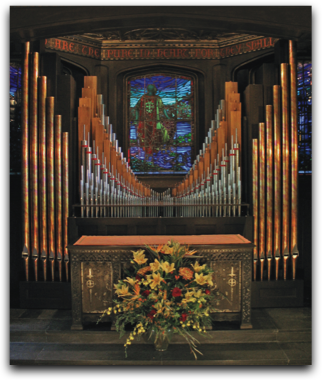 The clarity of the chorus-work, the bold warmth of the ensemble, the elegant solo voices, and the seamless, exhilarating crescendo are amongst the hallmarks of a Glück pipe organ. OUR SCALING AND VOICING methods enable even our smallest instruments to seem much larger than they are, through the recombinant abilities made possible by the meticulous tonal finishing of every pipe. LET US FORSAKE the ordinary moments, and surpass them.